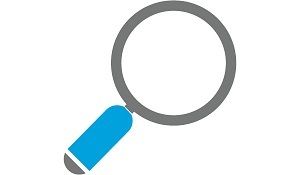 Is your collection of video hidden, under-cataloged, under-indexed, and under-utilized? You're not alone. 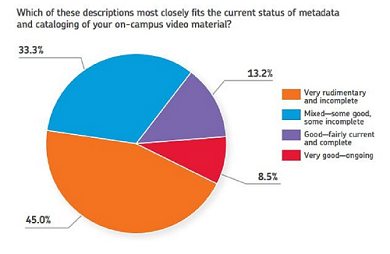 45% of academic libraries with streaming video collections that participated in a ProQuest survey said their metadata and cataloging of on-campus video material was "very rudimentary and incomplete." With video now the preferred format for teaching and learning, it is important for libraries to help drive this change. The vast majority of institutional videos are primary materials that can’t be found elsewhere: lectures, guest speakers and other events unique to each university. Making them available on campus and beyond showcases your institution's heritage and allows for a much wider audience - both faculty and students - to utilize these important sources for research and learning. ProQuest Video Preservation and Discovery Service (VPDS) offers end-to-end support with flexible services to raise the visibility of your rich video content. To learn more, watch an overview video, read a case study, or take a look at the product brochure.